The Terrestrial Sciences Section (TSS) is part of Climate and Global Dynamics (CGD) at the National Center for Atmospheric Research (NCAR) in Boulder, Colorado. Scientists in the section study land-atmosphere interactions, in particular surface forcing of the atmosphere, through model development, application, and observational analyses. Scientists in TSS develop and use appropriate multiscale models, remote sensing, advanced analytical techniques, and observations to study the role of the terrestrial biosphere in the climate system. 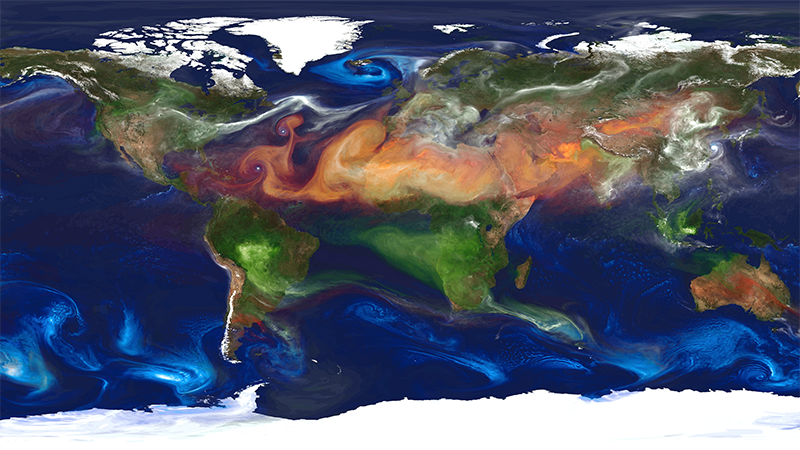 Topics of study include the regulation of planetary energetics, planetary ecology, and planetary metabolism through exchanges of energy, momentum, and materials (e.g., water, carbon, dust) with the atmosphere and ocean and the response of the climate system to changes in land cover and land use. Scientists are also involved in developing the land/vegetation model used in the Community Earth System Model (CESM). This model, the Community Land Model (CLM), includes biogeophysics, biogeochemistry (carbon, nitrogen, dust, volatile organic compounds), hydrology, and vegetation dynamics. Research in TSS spans a broad knowledge of the relationships among the biosphere, hydrosphere, and atmosphere. TSS provides a focal point for CGD and university ecological and hydrological research and serves as a resource to these communities in the use of CESM. IAM | Integrated Assessment Modeling group that is developing and applying integrated socio-economic and biophysical models of the climate system. The IAM group is also part of NCAR's Integrated Science Program (ISP). The integrated assessment field uses such linked models to address questions relevant to policy responses to the climate change issue.